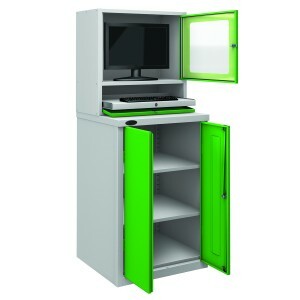 This unique computer workstation is designed and built in the UK to the highest standards. This computer station is designed to allow use of a computer in a workshop environment. 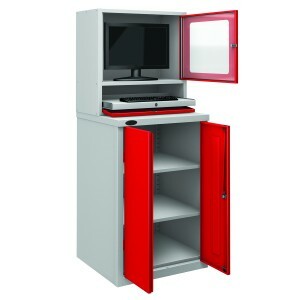 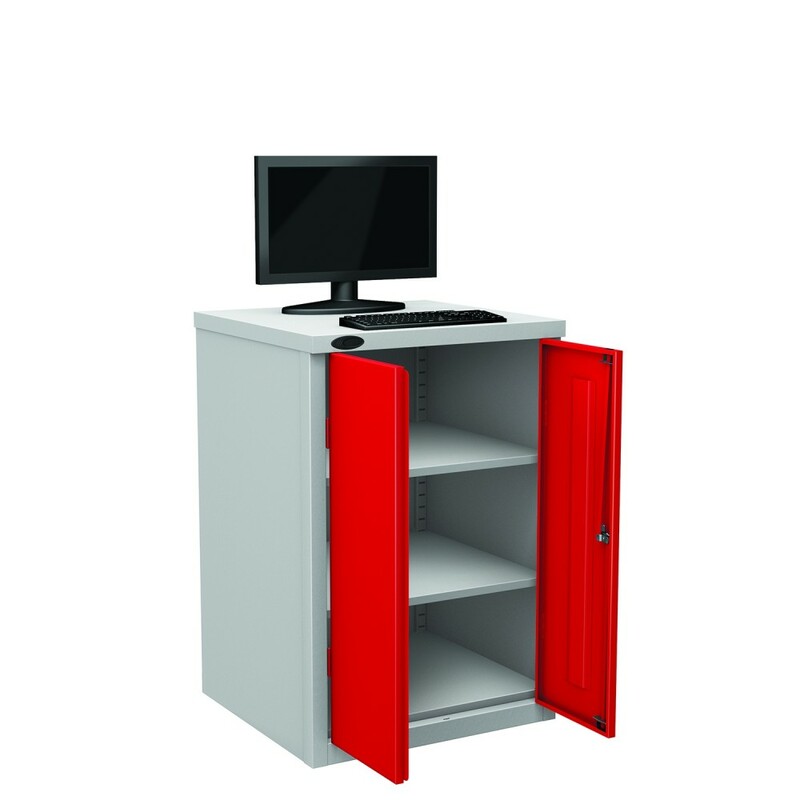 The design is simple - the monitor, keyboard and mouse are stored and operated from the top surface of the cupboard, the tower is stored in the roomy cupboard. There is even room for other relevant equipment such as stationary. With a high quality steel construction, these superb workstations are manufactured to the highest standards - the steel is chemically cleaned to ensure a quality coating of first iron phosphate for anti-rusting and a final anti-bacterial powder coating to provide a smooth and hygienic surface for even the most stringent environments.